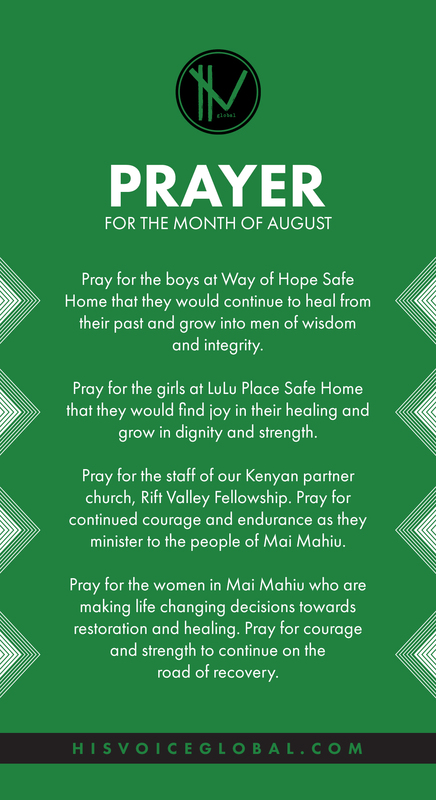 In July of 2018, I had the amazing opportunity to travel to Mai Mahiu, Kenya with His Voice Global. 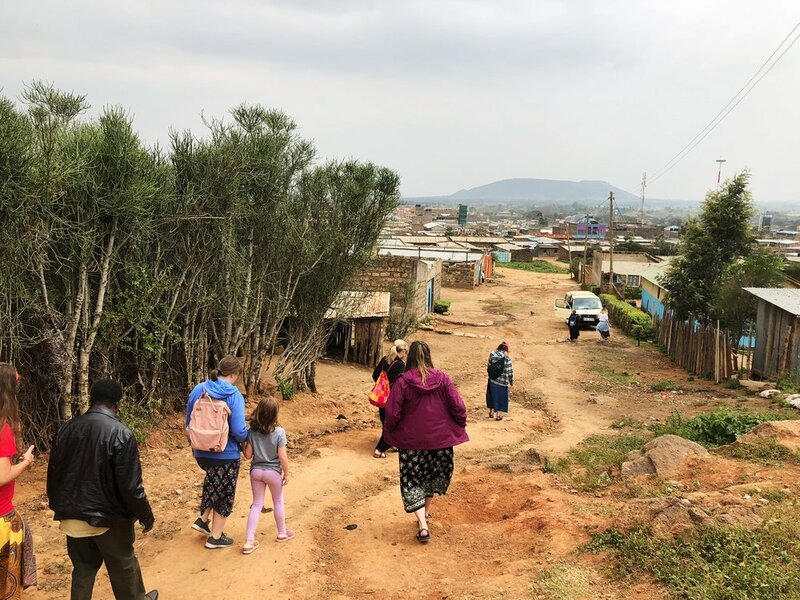 Before we left, we had little information about what we would be doing specifically, and only knew that we would be going to encourage and pray with some of the women under Rift Valley Fellowship’s care. This threw me off a little because I was so prepared to be doing a specific “hands-on” task, but as the trip moved closer, it was clear that praying and encouraging was the main focus. This trip was nothing like I expected it to be, but it was so much better because I truly got to listen, understand, and take in all that the Lord has done for these women. My team and I got to slow down, hear their stories, lean into what the Lord was saying about them, encourage them, and pray with them. To do all these things right, we had to take an extra step of intentionality and learn how to be truly present. This was an amazing lesson to learn and witness, as the staff of Rift Valley Fellowship and HVG have mastered these amazing traits of ministry. 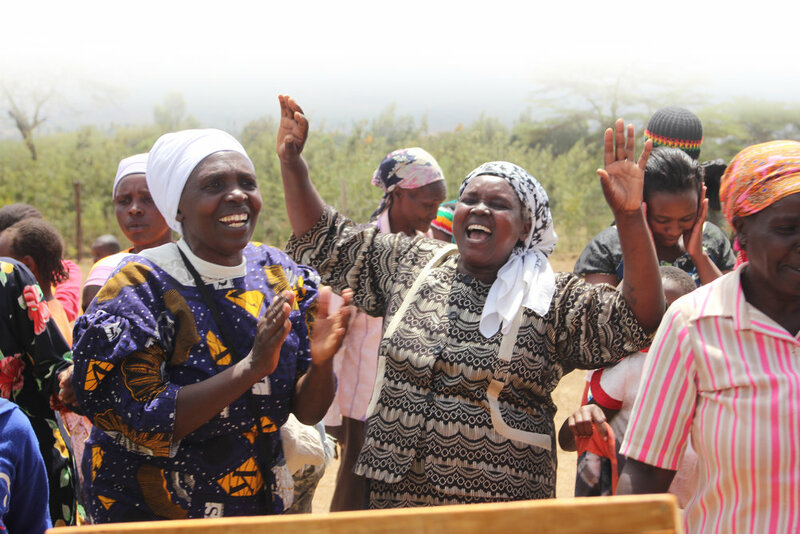 The Women of Courage are true images of strength and vulnerability as they shared their unbelievable stories of victory with us. I will always treasure the friendships made and the lessons learned on this trip. The women, staff at RVF, and my team have forever changed my heart and I can’t wait to go back and visit one day!